Hau Giang (VNA) – The ASEAN Energy Joint Stock Company is planning to build a one-billion USD solar power plant on a 200-hectare area in the Mekong Delta province of Hau Giang. 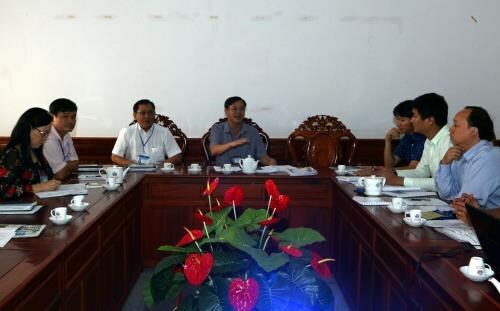 Director of the ASEAN Energy Joint Stock Company Ta Xuan Thang revealed the plan during a working session with leaders of Hau Giang province on August 3. The company is now surveying possible locations for the project in Hoa An commune in Phung Hiep district, Vinh Tuong commune in Vi Thuy district and Vinh Vien commune in Long My district. Once the project is approved by the provincial authorities, construction of the plant will start soon so that it can be put into operation in 2019. Vice Chairman of the provincial People’s Committee Truong Canh Tuyen said the province is willing to create favourable conditions for the company to build the solar power plant. Optimal incentives in terms of land rental, cooperate income tax and vocational training will be offered to the investor, Tuyen said.